Following the thread of urban conservation, we will move the discussion to a refreshing new book out of Portland, Oregon, titled Wild in the City: Exploring The Intertwine. It's a "go-to" and "how-to" book focused on the intersection of the built and natural environments of our cities. A brilliantly lively format brings together geography, natural history, recreation, art, and stories of place, all expressing the spirit of the people who live there. We feel this topic is well-timed as we can't help noticing that spring is bursting out around us outdoors, and it will no doubt inspire the conversation. We're looking forward to hearing about the wild in your city. Mike founded and has been executive director of the Urban Greenspaces Institute since 1999. He has been a leader in the Portland metropolitan region's urban park and greenspace issues starting with his founding of the Urban Naturalist Program at the Audubon Society of Portland in 1980. In 1994, Mike co-founded the Coalition for a Livable Future , to foster better integration of social and environmental issues in local planning and the region's growth management strategies. 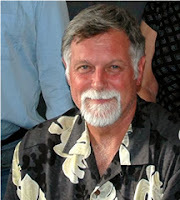 Mike is recognized locally, nationally and internationally for his contributions to urban greenspace planning. Currently, he sits on the board of directors for The Intertwine Alliance and serves on the Alliance's core planning group. He was appointed in 2010 to the City of Portland's Planning and Sustainability Commission. In 2000, he co-edited with M.J. Cody the first edition of Wild in the City, A Guide to Portland's Natural Areas. He also co-edited The Routledge Handbook of Urban Ecology in 2011. ﻿M.J. is an Oregon native who grew up in Estacada on the Clackamas River where "green" was not a concept but a certainty. After thirteen years in L.A. writing for television, she returned to Oregon with a fervent understanding of the need for wildness in a city. As an eloquent advocate for the importance of protecting the natural beauty of Oregon's rural landscape from urban sprawl, she has produced two audio driving tour CDs. M.J. is the author of Our Portland, a coffee table style book, with photographer Rick Schafer (Voyageur Press). She is a regular contributor to Portland's newspaper, The Oregonian, with her column on lodging in the Travel Section titled, "Sleeping Around the Northwest." She also writes features for several magazines including NW Palate Magazine, Travel Oregon, Horizon Air, Audubon Magazine, and other publications. 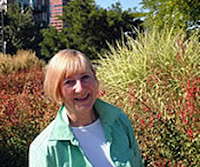 She is the Chair of Urban Greenspaces Institute, and also is the co-editor with Mike Houck of the first edition of Wild in the City, A Guide to Portland's Natural Areas. 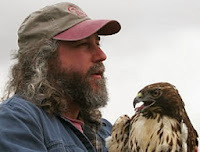 ﻿﻿ Bob Sallinger has worked for Audubon Society of Portland since 1992 and currently serves as the Society's conservation director. His responsibilities include directing Audubon's local, regional, and national conservation policy initiatives; citizen science and wildlife research initiatives; the Living with Urban Wildlife Program; the Backyard Habitat Certification Program; and the Wildlife Care Center Program. Bob’s passion for conservation was developed early exploring the woods of Massachusetts and later on solo hikes from Mexico to Canada on the Pacific Crest Trail and from Canada to New Mexico on the Continental Divide. Bob has a B.A. in Biology from Reed College and a J.D. from Lewis and Clark Law School. He currently serves on the Portland Parks Board and the Board of Directors for the Coalition for a Livable Future and is an elected director for the East Multnomah County Soil and Water Conservation District. He lives in Northeast Portland with his wife Elisabeth Neely, two children, a dog, cat, goats and chickens. Thank you Dr. John Hartig!